Car rental in Darjeeling represents a reliable cab rental services, which means that you have reached on the right platform. Indeed Fab Cab is the renowned name of the Gangtok, Sikkim local transportation system. Moreover provide wide range of luxurious and economic vehicles like Indica, Scorpio, Vista, and Aria for traveling the distance across Darjeeling, Nepal, Kalimpong and others related areas. Our services initiated from the pickup location of the customer, no matter whether it is Airport or railway station, moreover ends at the same. Therefore it would be fair if we call our cab rental services a dedicated transportation system which is developed solely for the convenience of tourist. We ensure you that our cab service would undoubtedly add in the most valued experiences of your life. Besides, we guarantee that our cab drivers are well behaved moreover quite frequent in communication. If you came down from the area where regional languages hold profound impact on the communication then you don’t need to worry as our drivers can easily speak and understand multiple languages, therefore language is no bar here. 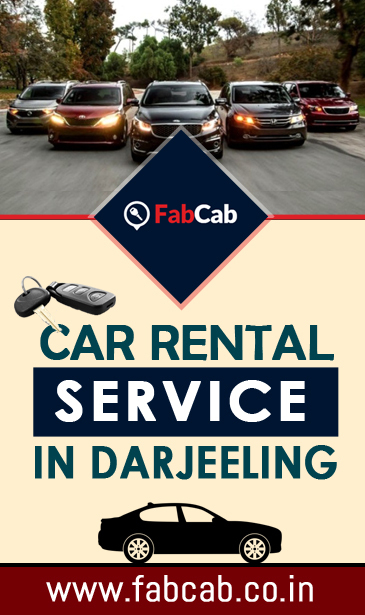 Darjeeling car rentals ,apart from other service rules and regulation, a zero-tolerance policy is our prime focus, according to which we are strongly against of the misconduct done on the tourist by the driver or by staffs. In such case, serious action will be taken from our edge. Gone are the days when renting a car is counting among the tedious task of the time. Now, the anticipated service is just a click away from your end. Finding a cab in the area like Darjeeling is nearly impossible. For more cabs present outside of the railway station and airport charge high from tourist. Therefore instead of searching local support, hire the Fab Cab which offers you car rental services at very affordable prices. Call us or leave us a mail for availing car rental in Darjeeling to explore natural Darjeeling.